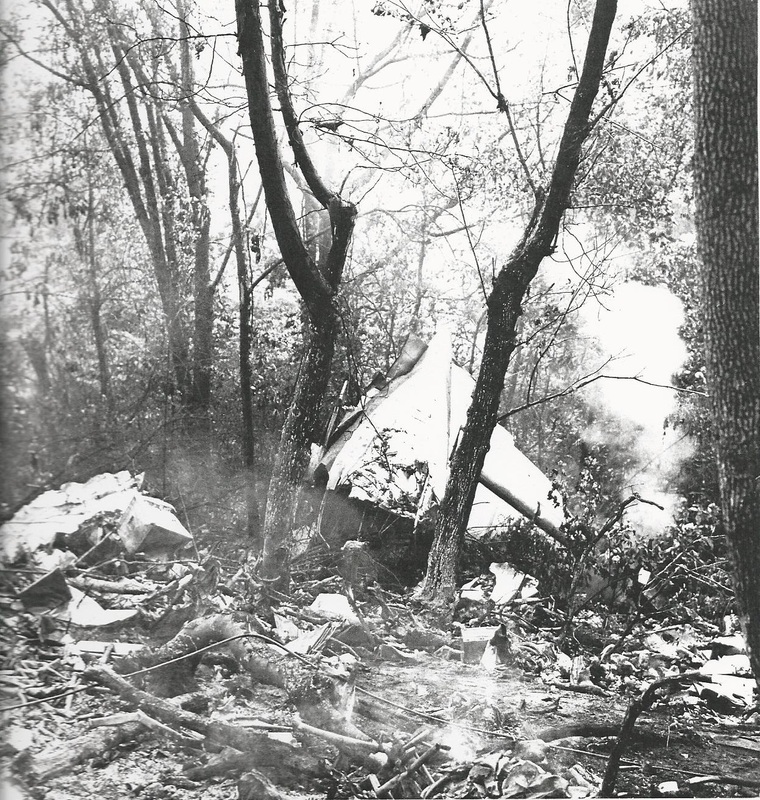 I would be remiss if I did not mention the great deal of respect I have for those individuals who investigated the crash at Parrottsville-whether they participated on the ground at the crash site or whether they were part of the various teams that conducted tests in laboratories, etc. The above picture is a good indication of how difficult it had to have been to ascertain any kind of results or conclusion as to what transpired that fateful day. Note: Man dressed in white on right, in picture above, is wearing a United Airlines “UAL” arm band. 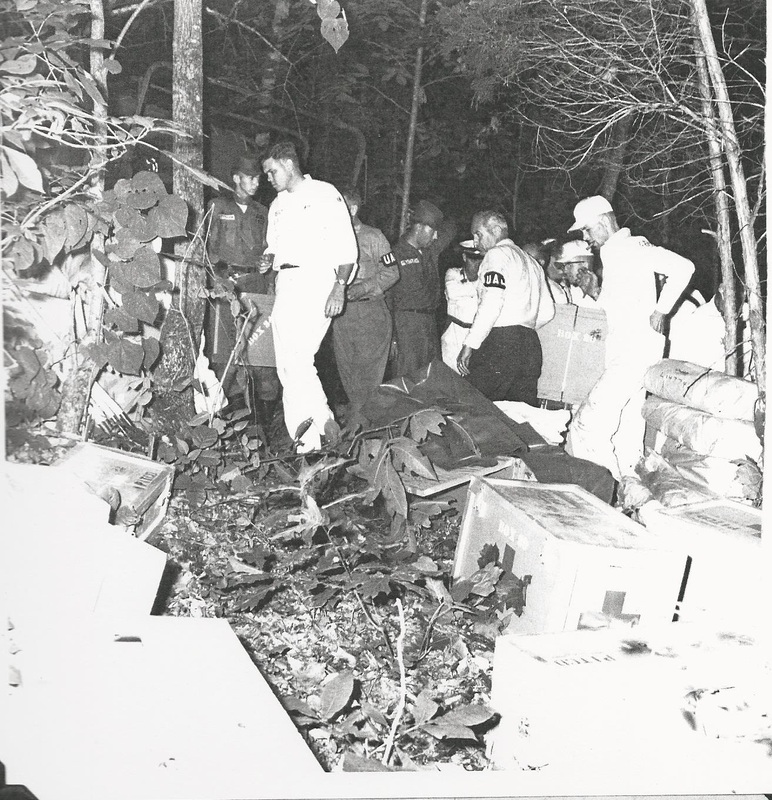 According to one witness, twenty-three ambulances or hearses were assembled on the Trentham property at one time-some having been driven from as far away as Cleveland, Tennessee. Note the UAL arm band worn by the man above the middle vehicle. 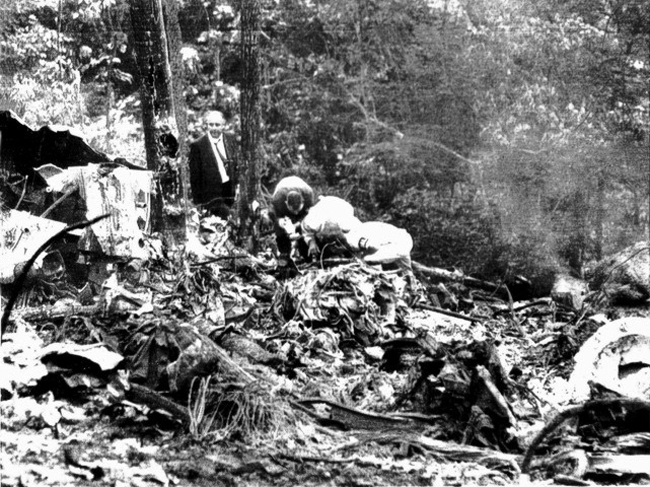 Judging by the position of shadows, it can be presumed that this photo was taken in the early morning after the crash. Below: Seventy-Five soldiers from Ft. Campbell, KY and the local Army Reserve unit served as an integral part at the actual crash site. 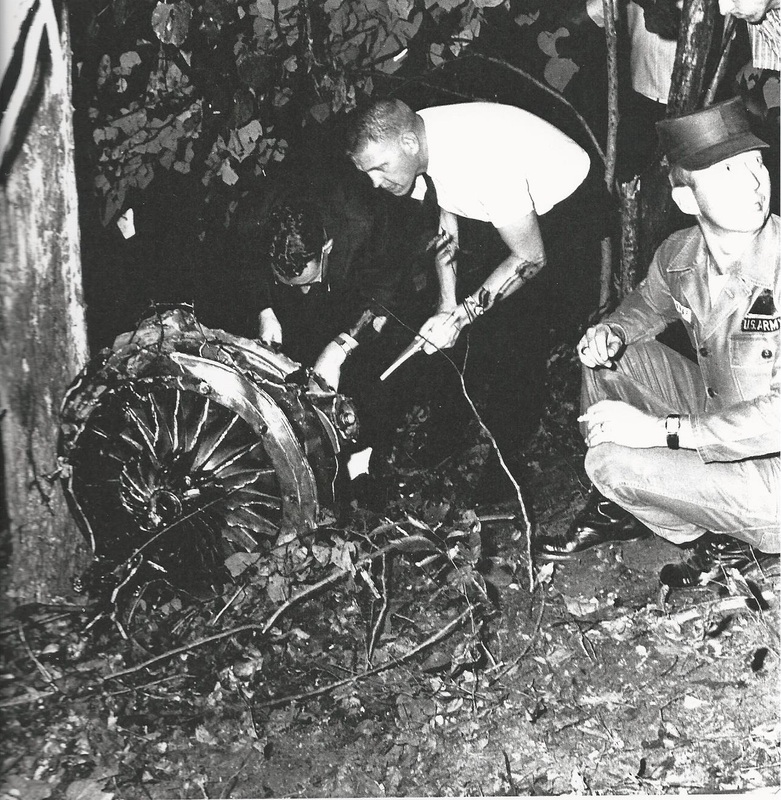 They also played a major part in searching the final 5 to 6 miles of the flight path for any objects that may have fallen from the aircraft. 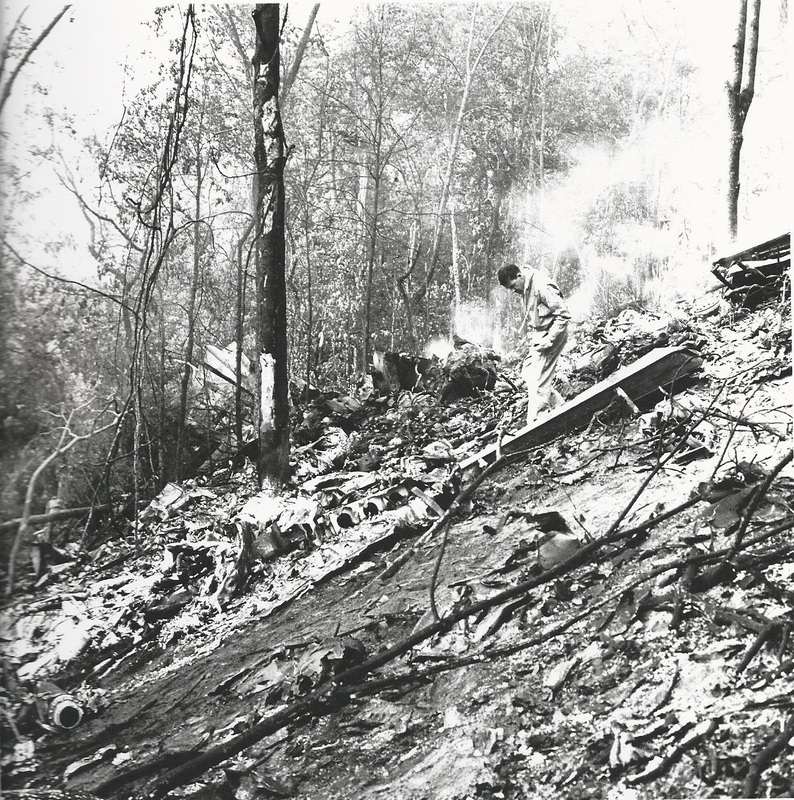 Below: The 45 degree slope of the hillside made for exhausting recovery efforts.